While many swimming pools or spas are built with capitalising on the property’s view and outlook in mind, some swimming pool owners are also looking for different landscaping ideas to create their own private swimming oasis. Hedges are a stylish way to create privacy around your pool area and are easy to maintain, with most boasting sturdy foliage to ensure less leaves and debris end up in the water. Bamboo is also a popular choice for simplistic Asian-inspired swimming pools. Be careful about what type of bamboo you plant though and how you plant it, as some varieties can spread and overrun the garden. Screens come in many different styles and materials and can add an interesting backdrop to a swimming pool area. Ranging from timber and bamboo through to decorative pressed metal, screens can either be custom designed or purchased ready made. Tropical gardens and palms are another popular choice for poolside landscaping in the warm Australian climate. Planted correctly a tropical garden can give character and appeal to bare fences surrounding the pool area. Be careful to choose plants that are less likely to drop branches, leaves, pods and seeds that will leave a mess in the swimming pool. A rock wall feature can also provide privacy from the street or prying eyes and, depending on the style or theme of the pool, can create an added feature. 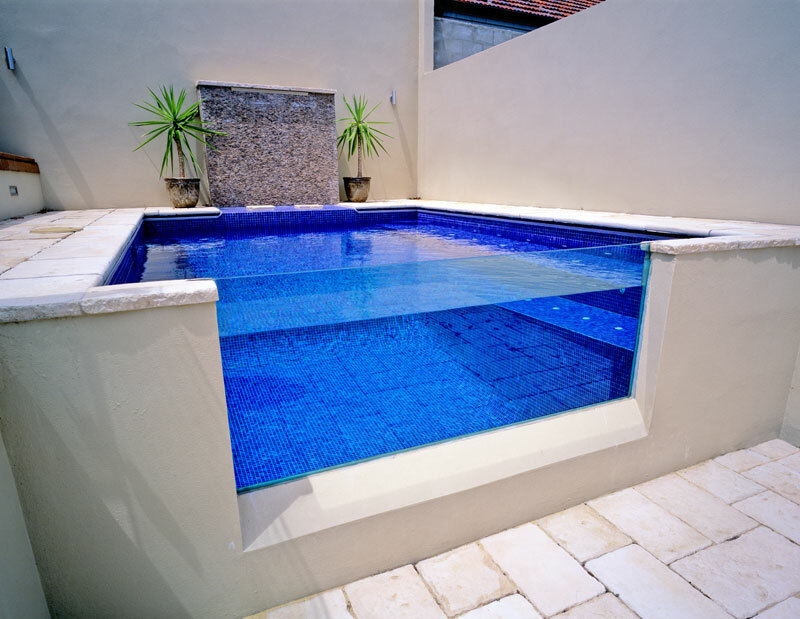 The adjacent home, buildings and boundary fences can also provide privacy for your pool. Of course pool owners must ensure that all surrounding fences, landscaping and screens comply with relevant pool safety laws. For hints and tips on how to create privacy around your swimming pool contact Blue Haven Pools on 13 20 25.